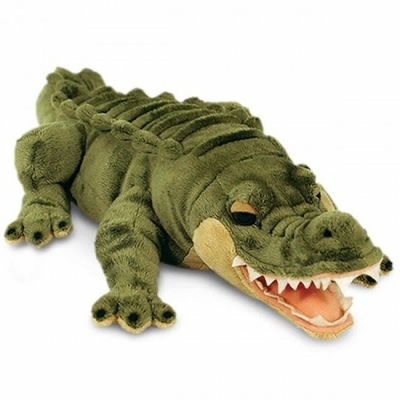 This cute cuddly toy Aligator is made from very soft,dense plush in green and cream. With his open mouth showing his pink tongue and rows of soft fabic teeth. High attention to detail gives this aligator his own friendly charm.